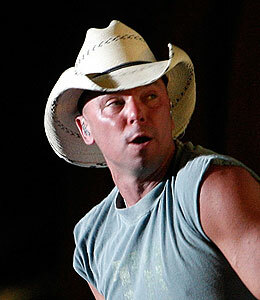 Kenny Chesney wants the world to know he's still a Southern gentleman. The cowboy is dismissing claims that he cozied up to Jessica Simpson during a Fourth of July bash. "Tony's a friend, and I wouldn't flirt with a buddy's girlfriend," Chesney revealed to People magazine. "More importantly, Jessica was just being sweet and there was nothing else to it. It's not funny. There were no problems. Everybody got along great. After the party, everybody went their own way and nobody thought anything more about it. Period. End of story." Kenny also lamented about how the country singers couldn't chat without things blowing out of proportion. "If a girl and her boyfriend can't go to someone's house for a Fourth of July party and talk to the other guests without it turning into a big nightmare... then I feel really sorry for Jessica and Tony, who're both really nice people." Simpson and Romo split five days after the party. Yesterday, a friend close to Jessica called the report about the crooner getting close to Chesney "absurd."